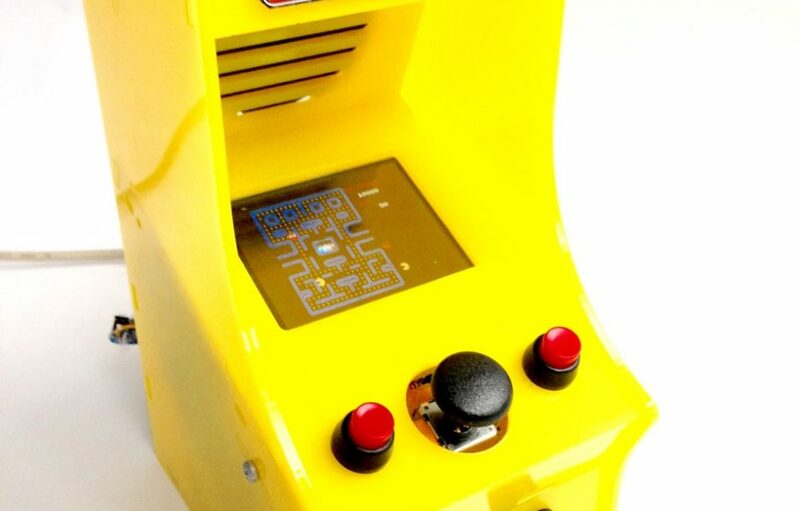 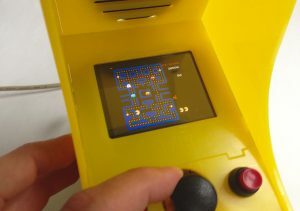 Adafruit’s cupcade and retro-pi gaming consoles are great fun! 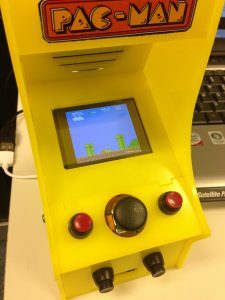 In my version I didn’t use their kit but built one from scratch, using the template drawings supplied by adafruit (for customising the look of your cupcade) and instead of the clever PI interface board, I used the electronics of an old HP USB keyboard which was gathering dust and missing some keys. 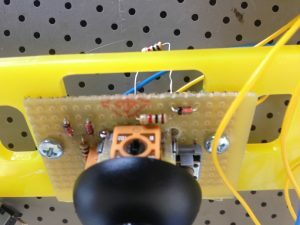 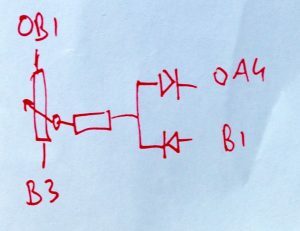 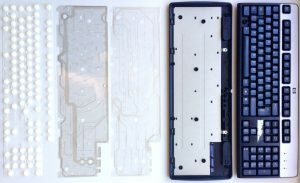 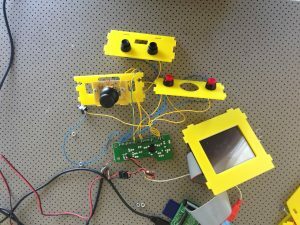 The fun bit here is that you -CAN- use an analog joystick as switch – if you’re willing to experiment a little with resistance values and diodes to make it work..
Then find yourself a numbering strategy and solder wires to the points on the keyboard PCB you need for the designated switch actions. 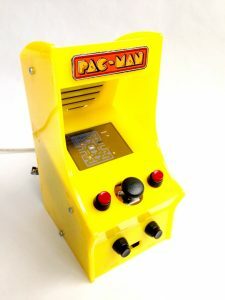 All in all the USB keyboard electronics is pretty responsive, even with the joystick-as-switch option. 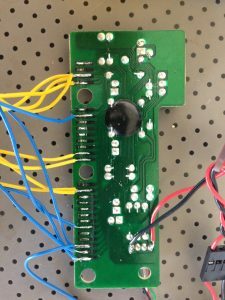 My first guess was using an Arduino Leonardo as keyboard emulator, but this option is probably cheaper and has better performance.